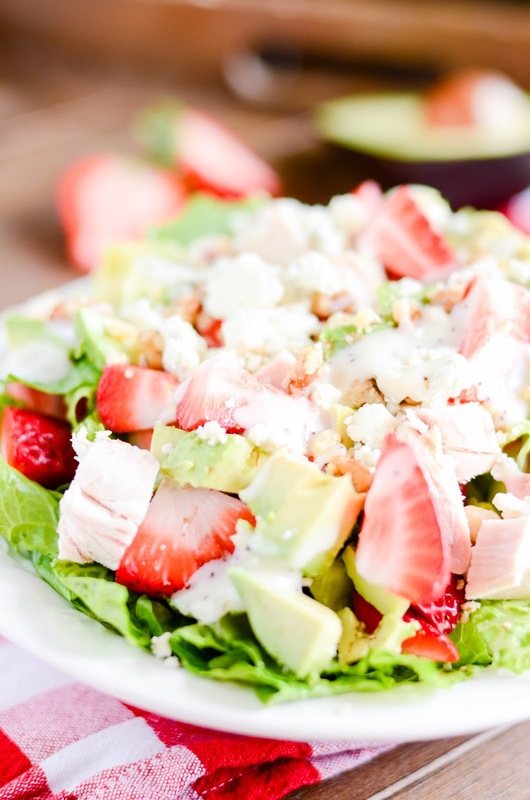 This is HANDS DOWN my all-time favorite salad. It only takes a few minutes to throw together and it's perfect for a crowd or a single plate for one. In all honesty, I'm not really one for salads. They bore me. I've been on one too many diets that have consisted of nothing but grilled chicken salads, and I'm pretty much over it. 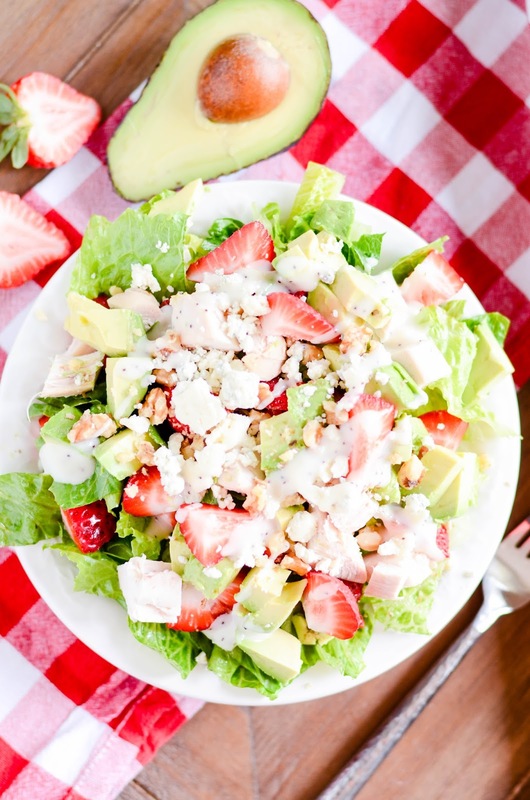 That being said, you'll know that I'm being completely honest when I confess that there is pretty much nothing I would rather eat these days than a big bowl of this strawberry avocado salad with blue cheese crumbles, walnuts, poppyseed dressing, and yes.... grilled chicken. Because OMG it is THAT GOOD! And gorgeous, right?? Just look at those colors! I love this salad for it's looks alone. It's just a happy looking salad, don't you think? Not a depressing diet salad. Although, don't get me wrong, it's plenty healthy! But it's certainly not boring or monotonous or lackluster while being so. 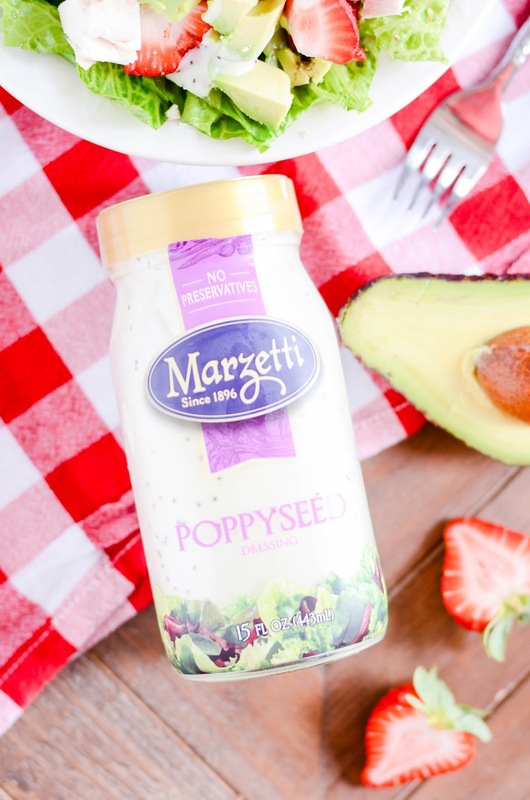 Marzetti makes my absolute favorite poppyseed dressing (it's usually in the produce section). I've used others that are okay, but this one is just the right consistency. Not too thick, not too thin, and just the right amount of tangy and sweet. 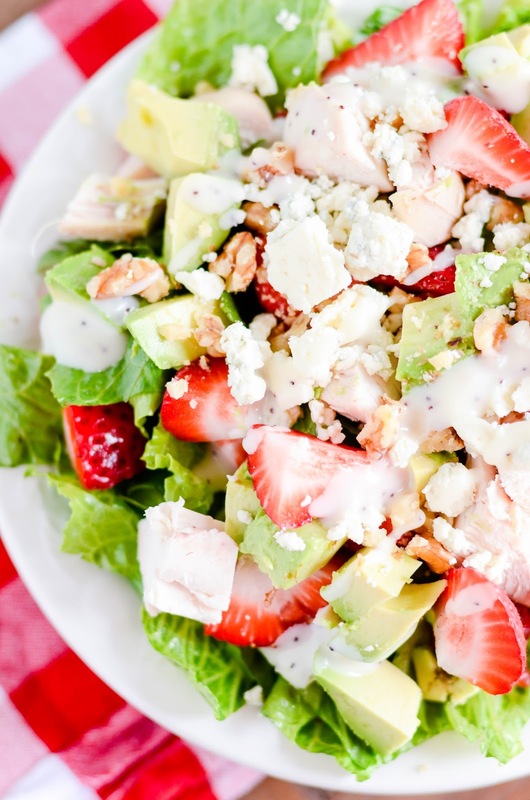 Layer the toppings over the bed of chopped lettuce and enjoy!